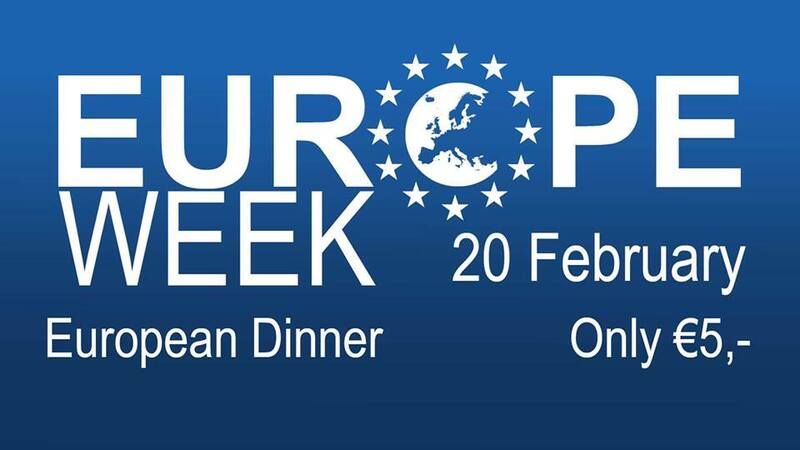 Wednesday on the 20th of February AEGEE-Groningen will organize a European Dinner. This dinner will consist of various recipes from different countries and a opportunity for you to taste many different cultures. It will be a great occasion to meet new people and to try new delicious dishes for a very low price! After the dinner we will continue the night at the Brouwerij for our Weekly social in a special European theme. There are only 40 spots available, so sign up now by sending an e-mail to kookcie@aegee-groningen.nl! Please make sure to do this before February 18 5 p.m.